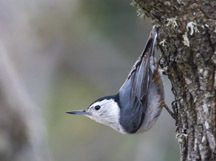 Klamath Bird Observatory is offering public visits to our bird banding station near Fort Klamath in the Upper Klamath Lake area. 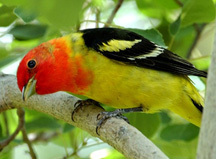 The banding station is scheduled on Monday mornings through mid-October. 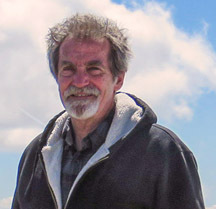 Individual, family, and group visits can be arranged by emailing KBO’s Banding Program Coordinator Bob Frey (see below). 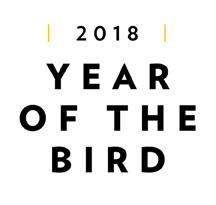 Year of the Bird’s June Call to Action: Skip the Plastic! 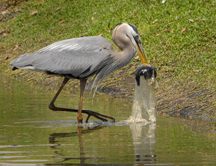 Great Blue Heron about to swallow a fish inside a plastic bag. Photo by Andrea Westmoreland from Wikimedia Commons. It is June in the Year of the Bird and this month’s Call to Action is to Skip the Plastic. Our use of plastics has far out-stripped our ability and motivation to keep it out of natural environments. The accumulation of discarded plastic is both plain to see and nearly invisible almost everywhere, creating an acute problem for all life on Earth. But we are in a time of change—there is real traction around this issue at the individual level and among policy makers and industry leaders. Innovators are offering solutions to municipal waste management and creative ways to repurpose trash. Why is plastic a problem for birds? • The threat to birds is severe: 90 percent of seabirds eat plastic and virtually every one will be consuming it by 2050. Flesh-footed Shearwaters eat more plastic as a proportion of their body mass than any other marine animal. • The problem is growing: Scientists have been tracking plastic ingestion by seabirds for decades. In 1960, plastic was found in the stomachs of fewer than five percent, but by 1980, it had jumped to 80 percent. World plastic production has increased exponentially from 2.3 million tons in 1950 to 162 million in 1993 to 448 million by 2015! How can we all help solve the problem? • Shop with reusable bags. Shoppers in the United States use almost one plastic bag per resident per day. Shoppers in Denmark use an average of four per year. • Recycle—this old idea is still far from common place. The United States recycles just 9 percent of its plastic trash. • Properly dispose of your own trash and pick up litter when you can. Join or organize a community park or beach clean-up. • Do not purchase plastic bottles and start carrying a reusable straw. Bottles take 450 years to biodegrade. • Avoid products with plastic packaging and buy in bulk. The largest market for plastics today is packaging materials—most of it never gets recycled or incinerated. CLICK HERE to view the National Geographic Society’s Nearly Every Seabird on Earth Is Eating Plastic article. CLICK HERE to view the National Geographic Society’s Reducing Plastic as a Family Is Easy article. CLICK HERE to view the National Audubon Society’s Eight Easy Ways to Reduce Your Plastic Waste article. CLICK HERE to view some of Photographer Mandy Barker’s artwork using discarded plastic in the ocean, on beaches, and inside seabirds. 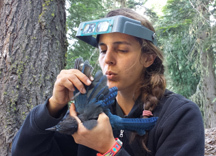 KBO’s Fundamentals of Songbird Banding Workshop is filling up—register soon! 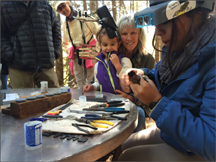 Just a few spots are still open for KBO’s Fundamentals of Songbird Banding Workshop August 6-10, 2018 at our Upper Klamath Field Station. This is a North American Banding Council-approved training session with NABC-based content and NABC-certified Trainer instructors. 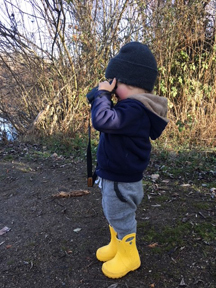 All registration fees go directly to funding our long-term monitoring and banding training program. Registration closes July 20, 2018. Participants will receive training in bird safety, bird handling, mist net use and maintenance, data collection, bird identification, bird banding, and sexing and ageing techniques through both hands-on instruction while capturing birds and numerous seminars. 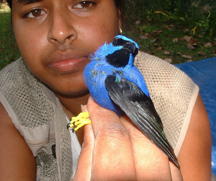 The workshop program has been developed for people with little or no bird handling and banding experience, although is also appropriate for those with intermediate skills for which it will build upon their existing skills and knowledge. The registration fee is $1,600 per person and is non-refundable. Registration includes all meals (including beverages and snacks) beginning with dinner Monday August 6 and ending with lunch Friday August 10. Space is available for free tent camping at KBO’s rustic Upper Klamath Field Station. There is lodging available nearby at several Rocky Point area resorts and lodges (all with rooms and/or cabins as well as RV and tent camping) and a few options on Airbnb (search Rocky Point or Klamath Falls, Oregon). A little further away are Running Y Ranch Resort (about 20 minute drive) and hotels in Klamath Falls (about 40 minutes). For more information about the workshop (including workshop agenda, nearby lodging info) and to register click here. Registration will closes July 20, 2018. 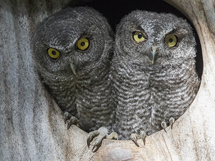 Come for a top-notch banding learning experience and help keep our long-running monitoring and training program going. For more information and answers to any questions please contact Bob Frey at bif<AT>klamathbird.org. 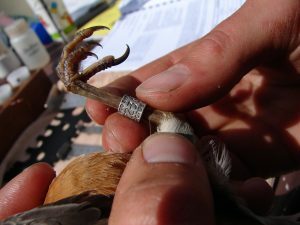 CLICK HERE for more information about bird banding training opportunity.